Genevieve Gaiser Tremblay is a community catalyst and independent public scholar working at the convergence of arts, emerging technology, the built environment and the public sphere. She works with civic leaders to develop innovative programs, forge strategic partnerships, develop community identity and build cultural infrastructure. She provides vision and strategy to many regional public art and urban planning efforts and works to develop community focused real estate assets that generate economic value and public benefit. Her curatorial research and program development efforts are focused on open culture and the innovative application digital, social, mobile and game technologies to arts, education, health and civic engagement initiatives. She serves on the Port of Seattle Commission’s Arts Oversight Committee where she provides guidance and leadership to the Port in its policy to incorporate contemporary art into their projects. Genevieve served an 8 year term on the Bellevue Arts Commission where she was engaged in the City’s urban and cultural planning efforts. She led the effort to update the City’s Cultural Strategic Plan, the Cultural Compass. 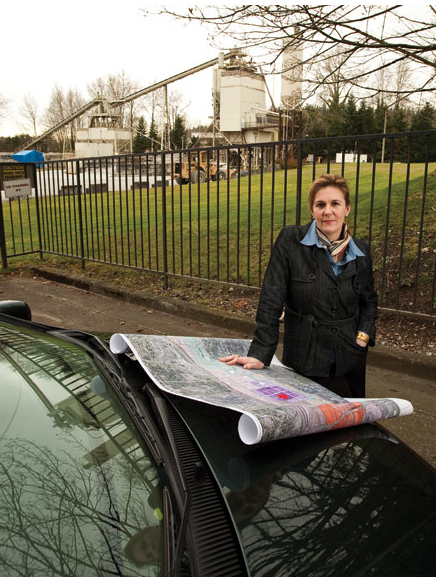 She was instrumental in creating vision for the 2008 Bellevue Sculpture Exhibit Teen Project, “Sculptural Travel Bugs”, locative media based education program that created an unprecedented level of community engagement. In 2000, she co-founded of Cultural Entrepreneurs, a firm providing creative vision, strategic planning and program development services. In that capacity, she created cross-disciplinary forums that served in rapidly incubating new technology-based initiatives. Several of these efforts were funded through grants from AT&T Corporation, The Benton Foundation, The Ford Foundation, The Gates Center for Technology Education, The Microsoft Corporation, The National Endowment for the Arts, The Rockefeller Foundation, and The Seattle Public Library. Genevieve is a founding advisor of KNOWEDGE, a US based consortium of highly experienced environmental designers and industry experts focused on how communications will work in future environments. She is now working to ignite interdisciplinary collaborations among artists, design experts and technologists around universal access, orientation and mobility issues.